Our founder, Agop Tomurcuk, was born in Istanbul-Turkey in 1941. Growing up in the Samatya neighborhood of Istanbul, he followed in the footsteps of his older brothers Oksant and Garbis, by beginning work as an apprentice cymbal-smith at the age of 9 at the only cymbal factory in Turkey. 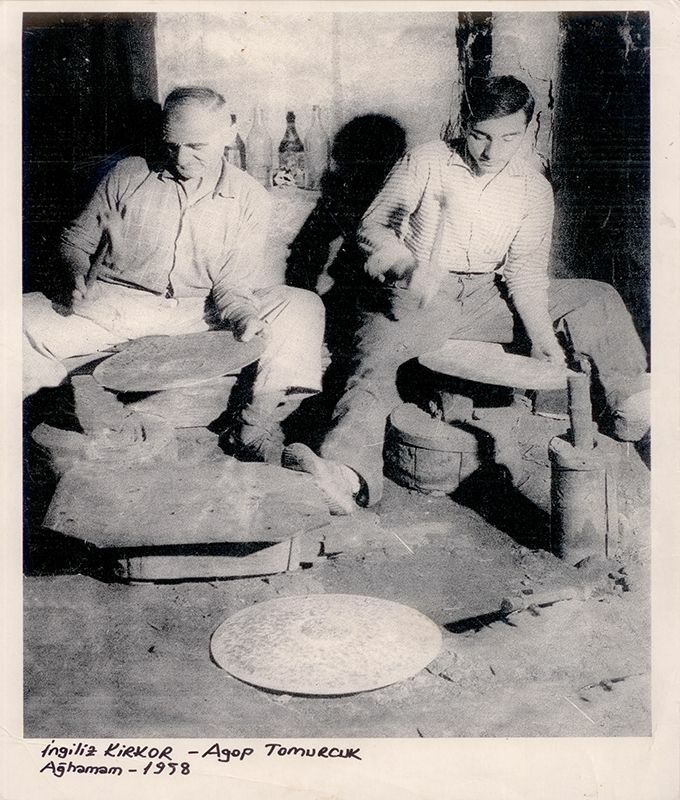 Here, Agop learned, and later helped to refine every aspect of the cymbal making process, becoming a master at every process and eventually becoming the chief cymbal-smith, until that company ceased production of their cymbals in Turkey in 1977. Feeling “like a fish out of water,” after a little over a year spent working various odd jobs, Agop became to determined to continue the Turkish tradition of handmade cymbals on his own. With a little bit of asking around, he was able to locate and buy up much of the equipment and tools he used at his previous company. He rented a small workshop in the Bakırköy-Kartaltepe area of Istanbul, and began to experiment and produce some cymbals with the help of his dear wife, Uskui Tomurcuk. But the limited resources and manpower made things very difficult. “At the end of the day, my father’s cousin once brought him home by carrying him on his back” explains Agop’s son and now company Co-President, Arman Tomurcuk. Eventually, he was able to set up a small, but functional factory and his older brother, Oksant joined the company as chief cymbalsmith. They began by selling cymbals locally to some music stores in Istanbul’s Tünel area, but the prospects of this were limited.